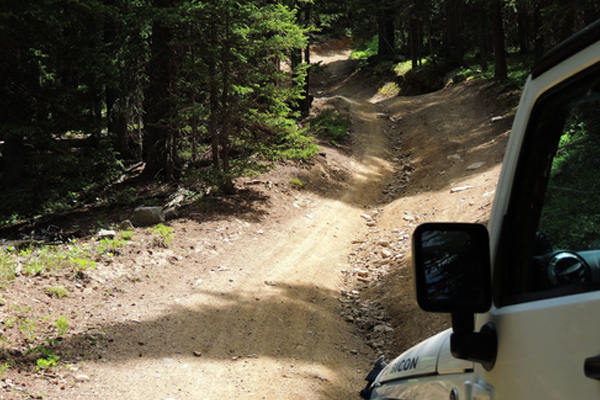 With plenty of off-road rambling and majestic mountain scenery, McAllister Gulch is by far our most adventurous jeep tour–plus, it’s the highest jeep trip available in the Vail area and only offered by Timberline Tours. 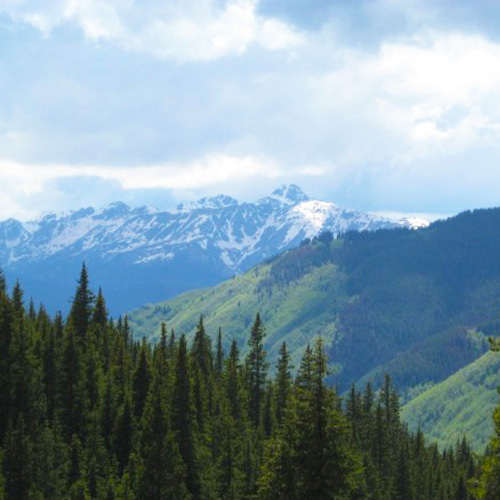 From start to finish, you’ll discover a truly wild Colorado and experience an unforgettable rugged mountain exploration. 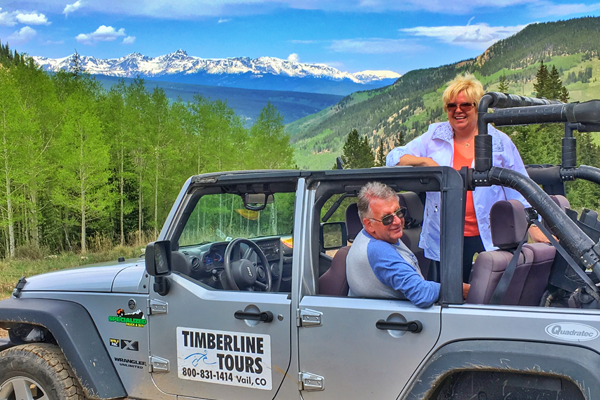 The McAllister Gulch jeep tour begins as soon as your guide picks you up and then goes through the character-rich mountain town of Minturn, Colorado. From there, you’ll climb up a winding road over Battle Mountain, passing the abandoned mining town of Gilman, one of Colorado’s authentic ghost towns. Next up is the historic town of Red Cliff, which was founded in 1879 and is one of Colorado’s last true mountain towns. Tucked into the high country’s peaks, Red Cliff will charm you with its rustic appeal and 1800s architecture. With these few spots of civilization in your wake, the real adventure begins as your guide takes you onto Wearyman Road, one of the roughest roads in Eagle County. This jeep trail requires a modified suspension and oversized tires, and you’ll enjoy the thrill as your experienced guide navigates over large boulders and through multiple river crossings. This trip boasts true off-road adventure for approximately 30 minutes before a mellow ridgeline ascent on McAllister Gulch Trail that leads to a truly spectacular parking spot on the summit of Resolution Mountain at 11,900 feet. After enjoying the 360° views of four separate mountain ranges and Colorado’s two tallest peaks, you’ll descend into Camp Hale, home of Colorado’s famed 10th Mountain Division, to complete a full loop. 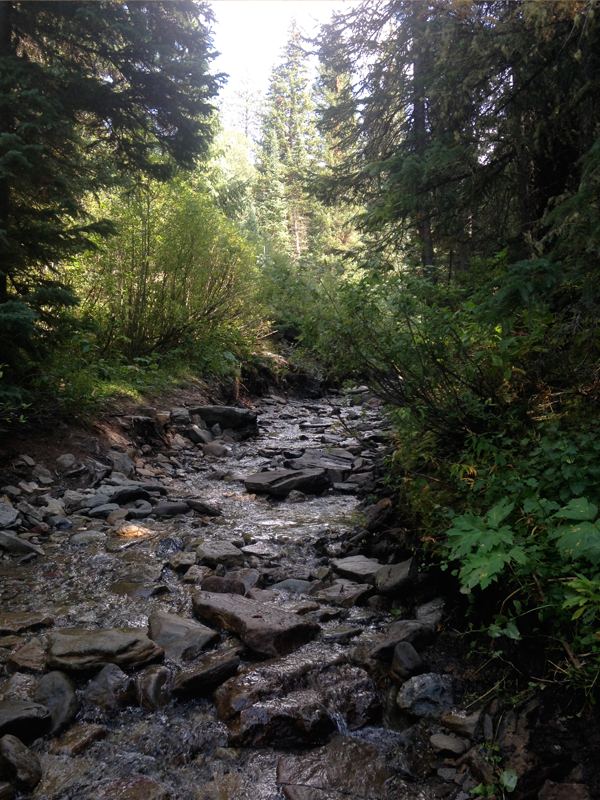 Make no exception: McAllister Gulch is undeniably the most adventurous jeep tour in the Vail area, and you will not be disappointed! This trip can also be arranged with a Vail Pass pick-up for Summit County guests. Note: The McAllister Gulch jeep tour must be specified at the time of booking to ensure availability of special equipment and guides necessary for this trip. 30 minutes of road. 4-5 hours on the trail.